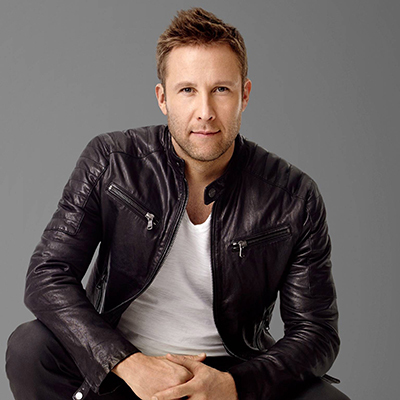 Michael Rosenbaum has displayed his versatility as an actor by tackling diverse roles. Equally adept at comedy and drama, Rosenbaum has played characters ranging from a transvestite to a crazed fraternity boy to the intriguing Lex Luthor. In addition to his wide range of talent in front of the camera, this gifted actor is also a skillful writer and voice-over artist. Plus, he recently sold a script to Fox based on his childhood, which is in development now. Since the fall of 2001, Rosenbaum has starred as Lex Luthor in the highly successful WB series, Smallville, based on the original "Superman" concept. Following the story of the teenage Clark Kent in Smallville, the series shows the dynamic beginning of the relationships between Clark Kent, Lana Lang and Lex Luthor. For the role, Rosenbaum shaved his head and transformed himself into the spoiled, well-to-do son and future Superman arch-nemesis. His portrayal of Lex has garnered the attention of critics and fans alike. Shot in Vancouver, the one-hour series also stars Tom Welling, Kristin Kreuk, John Schneider and Annette O'Toole. In the spring of 2002, Rosenbaum starred in Touchstone's comedy Sorority Boys. Directed by Wally Wolodarsky (The Simpsons), the film focused on three fraternity boys who are accused of embezzling funds from their house and must go undercover as homely sorority girls to gather evidence in order to prove their innocence. The film, described as Some Like It Hot meets Animal House, provided Rosenbaum with an opportunity to display his strong sense of physical comedy. The movie also starred Barry Watson and Harland Williams. In the summer of 2002 , the independent film Poolhall Junkies (on which Rosenbaum had completed production prior to being cast in Smallville) premiered at the CineVegas Film Festival in Las Vegas. Rosenbaum starred as Danny Doyle, a musician who can follow his dream of playing guitar or follow the path of his pool shark brother. The film included a stellar cast of Christopher Walken, Chazz Palminteri, the late Rod Steiger and Rick Schroeder, and hit theaters in limited release at the beginning of 2003 before being released on DVD in August 2003. In 2003, Rosenbaum appeared onscreen alongside one of his comedy idols, Steve Martin, in the Touchstone Pictures film, Bringing Down the House. The film, which also starred Eugene Levy and Queen Latifah, told the story of a middle aged lawyer (Martin) whose life is turned upside down by an escaped convict (Latifah) who arrives on his doorstep looking for help in proving she was framed. Rosenbaum took on the supporting role of Todd Gendler, a cocky and ambitious young lawyer looking to one-up Martin's character. Michael Rosenbaum's additional film credits include Warner Bros. Sweet November with Charlize Theron and Keanu Reeves, Columbia/TriStar's thriller Urban Legend, and Warner Bros. Midnight in the Garden of Good and Evil, directed by Clint Eastwood. His television credits include starring as Jack on WB's Zoe, Duncan, Jack & Jane, and The Tom Show. Rosenbaum is also a talented voice over artist. For the past two seasons, he has been the voice of The Flash on the Cartoon Network animated television series Justice League and has lent his voice to several episodes of such animated series as Batman Beyond and The Wild Thornberries. He also provided the voice of Agent West in the WB Kids animated series, The Zeta Project alongside actor Diedrich Bader. In 2003, Rosenbaum was featured as the voice of Valens in the LucasArts video game Gladius. Born in New York and raised in Indiana, Rosenbaum discovered his passion for acting at an early age in high school. He continued performing the leads in several stage productions while earning a Bachelor of Arts in theater and communications from Western Kentucky University. After graduation, Rosenbaum headed to New York where he appeared in several off-Broadway productions and in small independent films as well as becoming a regular on The Conan O'Brien Show in a comedy sketch called The Amsterdam Kids. Athletic and outgoing, Rosenbaum is an avid hockey player and golfer. He is also a dedicated New York Rangers fan. In addition, Rosenbaum has a passion for music, and plays both acoustic and electric guitar. Rosenbaum currently resides in Los Angeles - traveling back and forth to Vancouver for work.